Kettler proudly state their rowing machines are made in Germany, that is, they don't just stick a badge on something made in a country you've probably never heard of. Kettler is one of those brands that have been around for ages - over 65 years now - and have earned a good reputation in all types of fitness equipment. The Coach E is at the top of their range and is priced at a level that puts it in the same bracket as some excellent rowers - so can it cut the mustard? BTW, that's an old English phrase and not a German one, although many may find the milder German variety easier on the tongue. But we're going off topic - back to the review. First impressions count, and our first thought was that it looks dull - functional but dull. It also looks a little dated with its sleek lines looking like something from the 90s. Having said that, the seat is very comfortable and the footrests well-positioned with the straps holding the feet firmly in place. However, while the rowing position is good once you're on the machine, it is low. 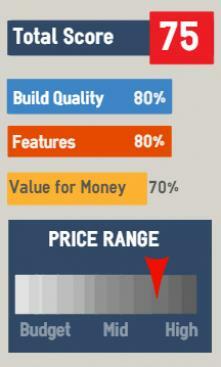 Most models in this price range are classed as commercial machines and have a higher seat. This makes it easy to get on and off, but there's also something more pleasing about sitting in a raised position. The rowing action is very smooth on the sealed ball-bearings beneath the beam which makes for a quiet ride. This also means their is no need for the use of lubricants and, thanks to other design features, maintenance is minimal. Kettler's magnetic resistance mechanism makes it one of the quieter models around. They refer to as an eddy-current system, which basically means the harder you pull, the higher the resistance. The resistance levels can be altered manually using the console, or by the pre-set programs (see below). 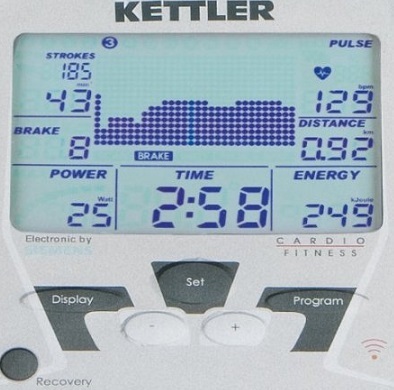 Kettler state the levels range from 25 - 500 watts - the power you're using to pull the handle. This is a wide range suitable for both beginner and elite rower. For some reason, Kettler seem obsessed with designing rowers with more exercise positions - 16 in total. The Coach E comes with two attachments that let you use the rower for ab training, seated curls and various other cross-overs and pull-ups. While some may find this useful, we think it's a distraction - it's a rowing machine and the action of rowing in itself is a great way to exercise! The large LCD display is well-laid out and easy to see at a glance all the information you need to track your workout. Unlike most other makes, the Coach E comes with a T34 Polar Heart Rate chest strap. Others have built-in receivers and heart rate training programs, but few include all the equipment needed. The advantage of the heart zone programs is that the computer will adjust the resistance level to keep you training in the optimum zone for weight loss and fat-burning, This means you get the most from your workouts and aids faster results. The Coach E rower is a quality machine with some good features, but... while it's a solid, reliable and functional, it just didn't excite us. 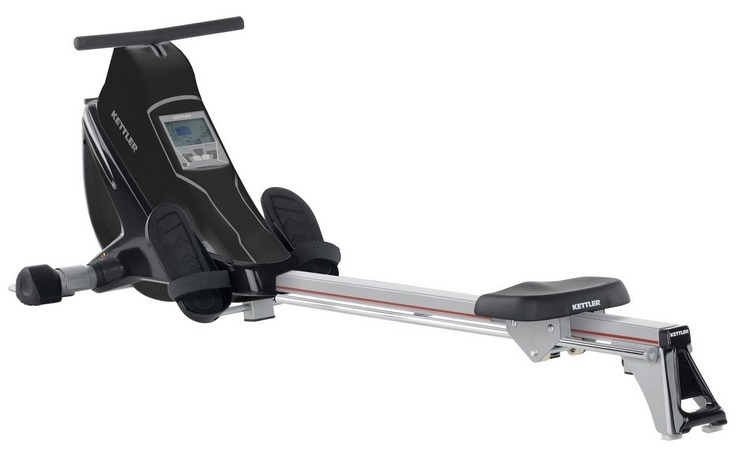 We said something similar about their other magnetic rower, the Coach M. We're not exactly sure why this is the case but not one of our panel would consider spending over a $1,000 on one. Over-priced for what you get. 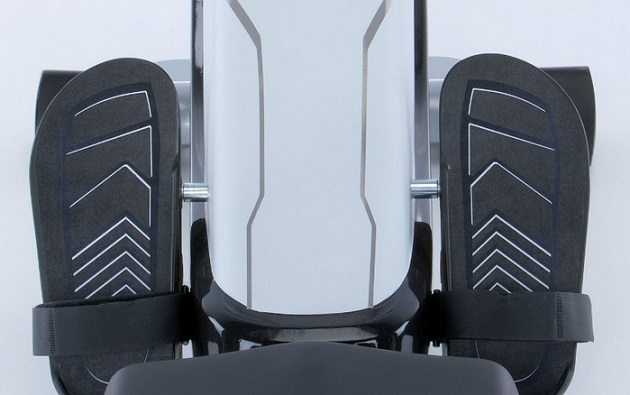 Your feet won't slip on this rower! 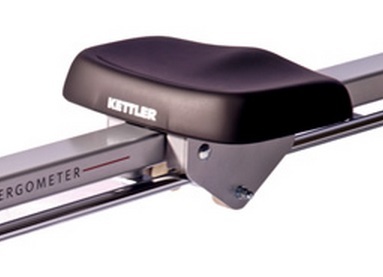 For less money, Kettler's Coach M is worth a look. But other models in this price bracket offer much more in our view - these include the magnetic LifeCore R100, or the every-popular Concept2 Model E, or the fluid rowers from WaterRower and First Degree. Comments will be added as we receive them. Do you own a Coach E? What's your opinion?